Gurl... you haven't brunched in this town until you have experienced Drag Brunch. Led by the incomparable Jenny P., Drag Brunch is a bawdy floor show that involves lots of lip-syncing, R-rated jokes, cute guys getting hit on and wide-eyed innocents getting lap dances - if you're lucky! 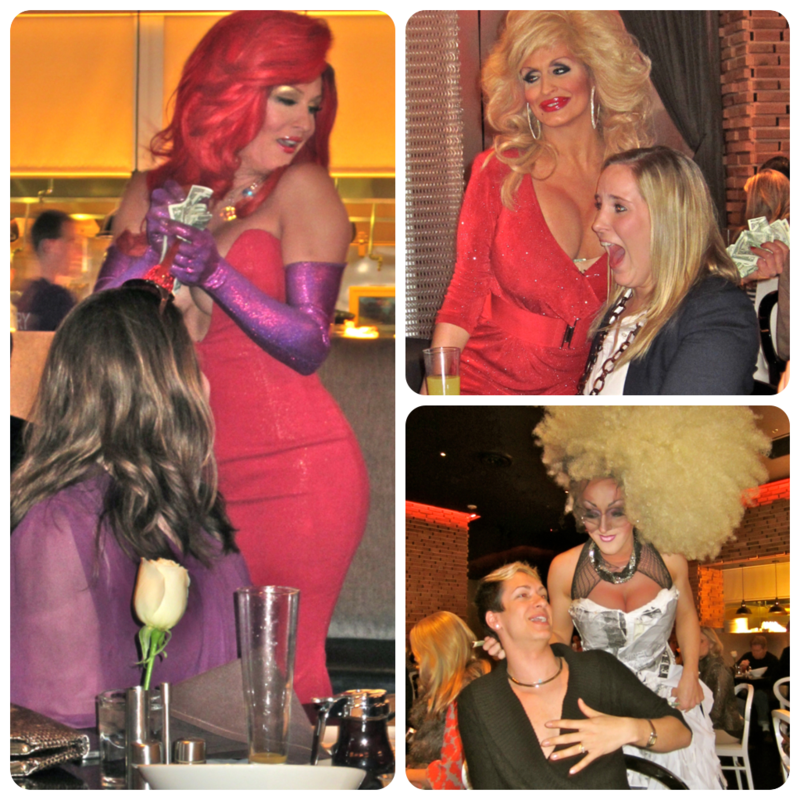 The only problem with Drag Brunch is that it has been that it's only offered at DISH once a month. Hurrah for Sambuca for recognizing that these ladies cannot have their talent dimmed and diminished to just one day a month! They have picked up this magnificent floor show and will be hosting Drag Brunch twice a month at their Uptown location. Joining my darling Jenny P. for the July shows will be Krystal Summers, Asia O'hara and Raquel Blake. Performers will rotate in and out from month to month. Dine from a savory menu including: Omelets, Eggs Benedict's, Steak and Eggs, Open-faced Chicken and Waffles, Huevos Rancheros, Turkey and Brie Sandwich, Roasted Salmon Filet and more! Drink specials will be flowing with $3 Mimosas, $ 3 Bloody Mary's and a $12 Bottomless Mimosas. Sambuca is now taking reservations for the next two shows, which will be on July 6th and July 20th. Shows will be held at 10:30am, 12:30pm and 2:30 pm. Sambuca, is located at 2120 McKinney Ave. For more information or reservations visit, www.sambucarestaurant.com or call 214-744-0820.